Dealing with the results of an auto accident is scary, even when you’re not the one at fault. You’re left with injuries, are possibly out of work due to the injuries, and have to adjust your life after what’s happened. If your accident resulted in total loss car, that’s even worse. What if your car was still new and you hadn’t finished paying it off yet? If your insurance company confirmed total loss car, you feel angry, confused, and unsure of what happens next. How do you handle this situation if your loss is not covered? If you’re in this situation, it’s important to know about what’s considered total loss, how it’s decided, and what’s done to remedy the problem. Discover everything you need to know so you can decide if you need legal help for your situation. 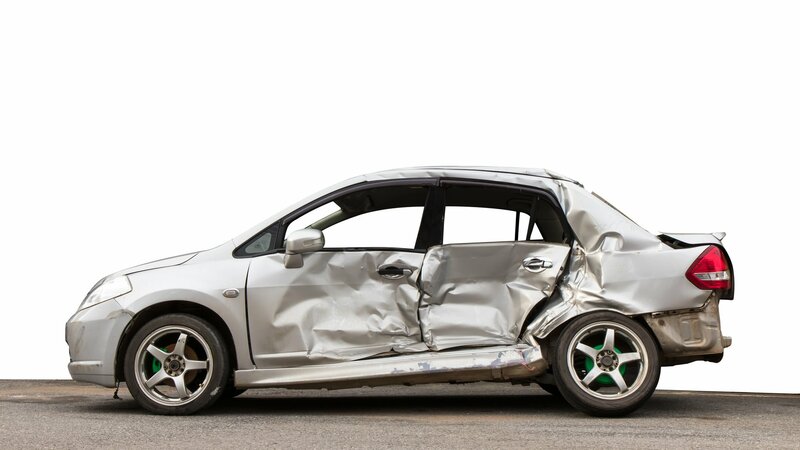 When Does Your Car Become a Total Loss Car After an Accident? You’ve gone through an auto accident and your car took a hit. At this point, it doesn’t matter how the accident happened, as long as you’re okay. Now you find yourself with a damaged car that looks worse than you expected. Your car might not even be driveable at this point, but you still need to get around. In cases like these, it’s important to understand when your car gets deemed a total loss vehicle. This means your car is officially totaled and no longer usable, allowing you to get some form of compensation for a new car. Beware of common myths about totaled cars, such as the airbag deploying equaling the car not totaling. It’s important to know the facts when it comes to what’s considered a totaled car. During this process, it’s important to stay in contact with the insurance company to get an understanding of what they determine as a totaled car and how this affects you. If you find yourself running into problems early on in the process, it’s important to speak with a lawyer right away. They’ll ensure you’re getting the help you need while getting a replacement car. Dealing with the claims adjuster is a process you might look forward to if you believe you’re owed a new car. The claims adjuster has the authority to decide how damaged your car is and how much money you’ll get. This sometimes results in less than you’d like to get once a decision gets made. From there, the adjuster determines what other cars that are a similar value to your original car sell for in your area. Based on these calculations, this determines how much you’ll get for the actual cash value of your car. While this is a tried and true method for knowing what your car is worth and how much you’ll get, some folks believe they’re getting shortchanged. If the total loss was not your fault, this seems unfair. It seems as though it’s taking money away from you due to an accident caused by someone else. If the car you had is unique due to upgrades or other improvements you made, it’s almost impossible to find something of equal value to it on the market. This leaves you in a difficult situation, sacrificing the value you put into your vehicle, through no fault of your own. If you believe you’re not getting the money you deserve, you need an attorney who can stand up for your rights. Make sure to get in touch with a lawyer skilled in auto accidents. They can help you figure out what the current situation is and what you can do to get the fair amount that you deserve. Once the insurance adjuster has examined your car, you’ll find out if you get a new car, and how much you’ll get compensated for your loss. There are some instances where you’re covered, and you don’t need to worry about what happens if you have a new car and the loan wasn’t paid off yet. If your car is around three months old or less- you don’t need to worry about the loss in most cases, since the insurance company buys you a new car. This is great news for anyone who’s ever gotten into an accident shortly after such a major purchase. If you made the choice to buy gap insurance, you’re in luck. Despite the loan not getting paid off yet, you’ll get the balance of your car loan paid off thanks to this helpful feature. You’ll still get the money for a new car, so never fear. If neither of these instances applies to you, the situation changes. Insurance companies don’t have to pay off the loan and buy you a new car. Instead, they’re only required to pay you what your car was worth before it got totaled. If you still have a loan balance, or you believe you’re going to need to downgrade the type of car you’ll buy, this is upsetting, especially if you weren’t at fault when the accident occurred. If you’re dealing with a case like this, it’s time to speak to an attorney and get the help you need. Having an attorney lets insurance companies know that you won’t get taken advantage of when it comes to issues related to the accident. Waiting for the insurance adjuster to figure out the value of your car means you’ll experience some downtime without a vehicle. For most people, this requires juggling their routine a little bit. They have to figure out what steps to take to get to work, take their children to school, or handle other commitments. If you have a second car, now’s the time to put it to good use. With a little forethought and planning, it’s possible to get around with a second car. You’ll still be able to take care of everything your family needs, from getting to school to grocery shopping. If public transportation is an option, see if you can get to the places you need to go while waiting for the adjuster to come out. In some cases, you can get the chance to borrow a car from a friend or relative, or have someone take you where you need to go. If you find you’re going more than a few days to a week or more without wheels, it’s important to get help. While most insurance companies work to get an adjuster out to review the damaged car, you don’t want to get taken advantage of while you’re without wheels. Having an attorney help you out can make a world of difference when it comes to having your case reviewed. Insurance companies realize you aren’t playing games and will work to get someone out, rather than deal with getting taken to court. In a majority of cases, insurance companies provide you with a check a few days after assessing the actual cash value of the totaled car. For many people, this day takes too long. Contact the insurance company and find out how long it’s going to take for the adjuster to get out, and what their policy is for issuing payment. Ask how many days it takes and what the process is for releasing the money, such as through a check or direct deposit. Many insurance companies want to avoid dealing with a car accident settlement in court. If you find you’re not getting the answers you’re looking for and things don’t seem like they’ll move in a timely manner, start seeking outside help. A qualified attorney can make life easier for you by working with the insurance company to find a solution. In many cases, this speeds up the process, and the company works to get your case taken care of. But if things still aren’t progressing at the speed they need to, your attorney can contact the insurance company on your behalf. Can You Keep Your Old Car and Salvage It? Many people want to know if there’s a way they can keep their old car and possibly fix it, while still collecting on the insurance money for a new car. In general, this isn’t something you’ll have the option to do, so it’s important not to consider this an extra money source from your accident. The remains of your car get put into a salvage yard. The proceeds from the sale go to the insurance company, who keeps this. If you suffered injuries from the accident and the car was significantly damaged, this often makes it useless for fixing. Sometimes the repairs on the car cost even more than they would buy a brand-new one, making this a poor choice for folks looking to save money. In some states, it’s not allowed for you to keep the car and try to fix it up again, even if you want to. Certain states ask that the car title gets changed to a salvage title. In cases like these, you cannot get new plates until repairs are complete. Then you can apply for a title. Once you go to insure your fixer-upper, insurance can become a tricky issue. That’s because many companies don’t allow people to get collision protection on a car that was rebuilt, and the value of it becomes difficult for insurance companies to pinpoint. When in doubt, speak to the adjuster and see what your options are. Many people believe that in the worst case scenario, it’s better to try and work with a new car rather than repair the old one. Once you get your new car, you might feel apprehensive about going back out on the road. After all, you’ve gone through an experience where you got hurt and lost a car. This is a scary process for anyone, but it doesn’t have to prevent you from living your life as you normally would. To make the most of your life and feel comfortable again, follow these tips for getting back into the swing of things. If you’ve been hurt or otherwise injured due to the accident, make sure you speak with an attorney. This is important since many people ignore their health and hope any problems they have to go away. If you were hurt, such as through TMJ due to the auto accident, it’s possible you can fight for compensation or lost wages from work. Document everything and see what your lawyer can do to assist you. Drive defensively no matter where you go. Even if you were not at fault and never caused an accident in your life, understand that other people aren’t always paying attention. No matter where you go, understand that you can look out for yourself and deserve not to put your life on hold. Having a total loss car is a scary and difficult process if you don’t know what to expect. If you find yourself in this situation, don’t hesitate to get help from a qualified lawyer. If you’re not sure where to start, we’re here to help. Contact us and see how we can assist you if you find yourself the victim of an accident that totaled your car. If you’ve been injured, Stephen Babcock is standing by to help you. Your case and your future will be our top priority. When we meet with you, we will review your case with you for free and after you hire us you will have Stephens 100% Client Satisfaction Guarantee. If you have any questions about this article or want to visit with a lawyer for free, call Stephen at (225) 222-2625 or contact us here. Or if you prefer, feel free to take advantage of our live chat system.